Just a reminder that the Novena to the Holy Spirit for the Seven Gifts begins on May 18th, this Friday. The oldest novena can be found here. On May 13 we mark the 95th anniversary of the first apparition of Our Lady at Fatima in 1917. 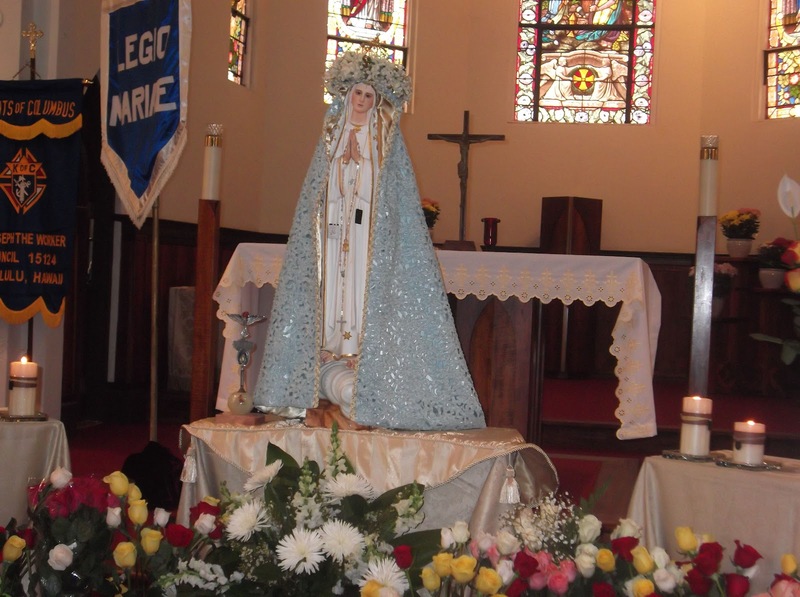 Like the apparitions of Our Lady at Guadalupe and at Lourdes, her apparitions at Fatima are known far and wide across the world in both religious and secular circles. To appreciate more clearly the impact of Mary’s appearances at Fatima, it is important for us to know something about the conditions in Portugalat the time of the appearances in 1917. The events need to be placed in historical context. For centuries Portugal had distinguished itself by its zeal for the spread of the Christian faith. But in the eighteenth century the government was influenced by anti-religious ideas and, from that time, Freemasonry set about de-Christianizing the country. At the beginning of the twentieth century, the moral and religious situation in Portugal was abysmal. In 1911, the separation of Church and State became official. The years from 1910 to 1913 were years of terror: priests and bishops were imprisoned or exiled; religious orders were suppressed; almost all the seminaries were closed and confiscated; missions languished or were abandoned. Freemasonry was in control. From 1910 to 1926 Portugal experienced 16 revolutions with 40 changes of government officials. Then, on May 13, 1917, a shining Lady appeared to three little shepherds near Fatima, a Portuguese village. They were Jacinta, seven years old; Francisco, her brother, nine years old; their cousin, Lucia, ten years old. The brilliant Lady encouraged them to pray the rosary, a summary of the Gospel, and to offer acts of penance. Then she asked them to return on the 13th of the next five months. The children were faithful in coming, except for August 13, for the mayor, a Mason, had them imprisoned at that time. He had threatened to cast them into a caldron of boiling oil if they did not reveal the secret confided to them by the Lady. At each meeting, the Lady revealed to them a little more of God’s designs. She foretold future misfortunes which they were to keep secret for the time being, and which were recently revealed by the sole survivor, Lucia. These had to do with an even more terrible war than the current one of 1914-1918. The Lady asked for the consecration of the world to the Immaculate Heart of Mary, for only through her could the aid of God come to the world. On the last apparition, that of October 13, she promised a great miracle which everyone would be able to see. Curiosity drew ever larger numbers that accompanied the little visionaries to each meeting: there were some 25,000 to 30,000 on September 13; about 70,000 on October 13. That day, on which the great miracle promised by the Virgin Mary was to take place, rain poured all morning. The crowd was soaked. But at noon the skies cleared. Mary appeared to the three shepherds and revealed her name: Lady of the Rosary. She asked that people be converted and pray. Then, in the sight of the 70,000 spectators, the sun, which had just appeared through the clouds, began to rotate or spin three times. Each rotation lasted three or four minutes, illuminating the trees, the crowd, the earth, with all the colors of a rainbow. Then it zigzagged in the sky and descended as though to fall into the crowd. People fell to the ground crying for mercy. Then the sun returned to its proper place. The spectators noticed that their clothes were completely dry. News of this miracle, witnessed by 70,000 people, including a number hostile to religion, spread like wildfire throughout Portugal and made a tremendous impression. The material miracle was but a sign of another miracle, the enlightenment of souls and the conversion of the country. Less than two weeks after the last apparition, a first sign of a new attitude manifested itself in the protest by an influential antichristian newspaper against a sacrilegious attack by a group of sectarians at Fatima. In 1918, the bishops were recalled from exile and were able to hold a meeting at Lisbon. The military chaplaincy was reinstated and relations with the Holy See reestablished. At that point, the Masonic lodges had the president of the Republic of Portugalassassinated. They sought to reinstate the control of the anticlericals, but their efforts failed. In 1926, the first National Council was held. In 1928, the renowned Oliveira Salazar rose to power. He was an outstanding Catholic and a great statesman, the providential man for the financial, civil, political, and religious restoration of Portugal. Come 1936, a new great danger menaced the land. The Russian Bolshevists decided to establish atheistic communism in Spain and Portugal in order to spread it more successfully in the east and in the west, throughout all Christian Europe. We know what success they had in Spain. Portugal seemed unable to resist their activity, organized with satanic cleverness. 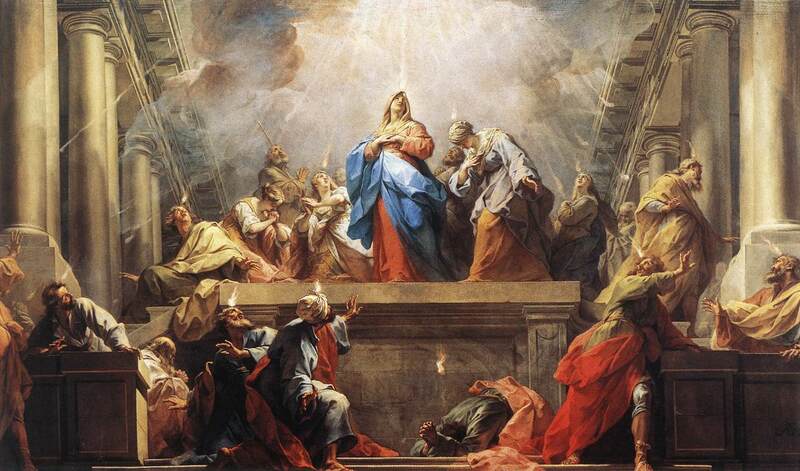 To dispel the danger, the bishops saw salvation only in the Blessed Virgin Mary. In 1936, they promised, by what was termed an anticommunist oath, to make a pilgrimage of the entire nation to Fatima if Portugal were preserved from the peril which was threatening it. While, on the other side of the frontier in Spain, the “Reds” were massacring, profaning, pillaging, burning priests and men and women religious and churches and convents, trying to extirpate the last vestiges of Christianity, Portugal enjoyed the most profound peace. And so, in 1938, an enormous pilgrimage of a half-million faithful was on route to Fatima to thank the Virgin for her miraculous protection. In 1940, Portugal signed with the Holy See the most perfect concordat, from the Christian point of view, ever signed in recent times. The faith is proclaimed throughout the entire country with pride, the sacraments are frequented, Catholic Action flourished, ecclesiastical vocations multiplied. In eight years the number of religious had quadrupled. In keeping with the prediction of the Virgin at Fatima, the Second World War was much more horrible than the first. Yet, though most of the nations of the world were involved in the indescribable calamities and anguish, Portugal continued with its tranquil life under the protection of Mary. The ecclesiastical inquiry into the facts of Fatima was opened in November of 1917. However, because of circumstances, a verdict was rendered only thirteen years later, on October 13, 1930. Meanwhile, pilgrimages continued to arrive, always more numerous, and usually on the 13th of each month. Cures were taking place. In 1926, a board of review was established similar to the one at Lourdes. More than a thousand cures, scientifically unexplainable had been registered by 1955. On the occasion of the twenty-fifth anniversary of the apparitions at Fatima, the ecclesiastical authority judged the moment suitable for revealing in part what Our Lady of the Rosary had asked Lucia to keep secret for the time being. In his radio message of October 31, 1942, to the pilgrims gathered at Fatima, Pope Pius XII consecrated the Church and the world to the Immaculate Heart of Mary. He renewed this consecration the following December 8 in Rome. The bishops of the whole world also made this consecration for their individual dioceses on March 28, 1943. 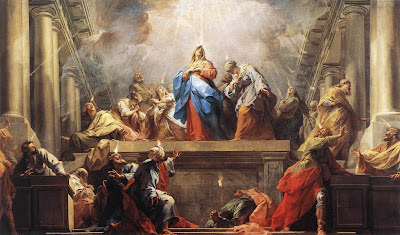 We know that the Pope Pius XII confided to Cardinal Tedeschini that he himself had seen the solar phenomenon on October 30 and 31, and on November 1 and 8, 1954, on the occasion of the definition of the dogma of the Assumption. The message of Fatima has been heard in Portugal, and Mary’s goodness has marvelously repaid it. Has it been heard in the rest of the world? Certainly not enough. Otherwise wars among nations by armies, and “cold wars,” and fratricides within countries would have ended long ago. However, not all have turned a deaf ear. The message of Fatima has been received in part, at least, by a great number of Christians. Devotion to the rosary continues to gain favor and reaches into many countries. As has been said, all the dioceses of the world have been consecrated to the Immaculate Heart of Mary by the bishops. The visits of the Pilgrim Virgin statues have been received with tremendous enthusiasm not only by Catholic populations, but by Protestants and Muslims as well. The message of Fatima has moved many and has contributed to making our era an Age of Mary. It has not spoken its final word. What that word will be depends on the cooperation which Our Lady of Fatima receives from us. She extends this call and invitation to each of us.